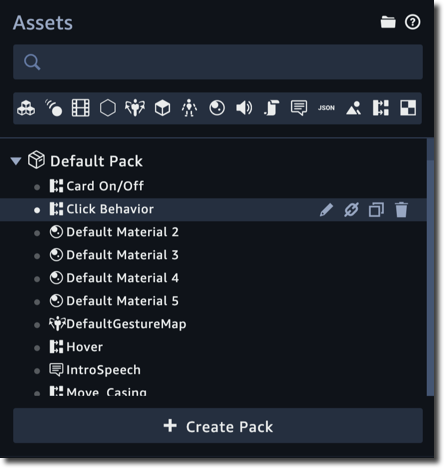 The assets panel shows all assets that belong to the scene. Assets are portable versions of entities or entity components. You can create them from external files or from entities that you create within the editor. To create an asset, drop a file from your machine, or an entity from the entities panel, onto the assets panel. Depending on the type of file, you may be able to split the file into multiple assets. For more information, see Amazon Sumerian Assets.